Marketers should be increasingly focusing on generating business and problem-oriented content over thought leadership pieces if they want to influence the self-serve customer buying cycle. The comment was made by senior director of content marketing at webcasting provider On24, Mark Bornstein, during a recent webinar moderated by the Content Marketing Institute (CMI) on key strategies and trends in content marketing in 2014. Bornstein pointed out marketers are facing a dramatically different buying cycle today, where customers self-educate almost to the point of sale. 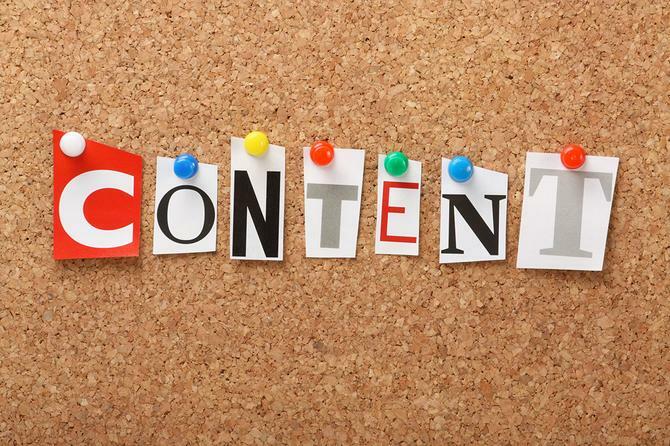 This is changing the way content is consumed as part of the lead generation process. It also puts the onus on serving not just prospects with content, but also existing customers. “A lot of content marketing is focused on the top of the funnel, but we now need to create more content for further down the pipeline,” Bornstein told webinar attendees. “This means we need to get better at not just creating thought leadership content, but also business case studies and solutions-oriented content. Bornstein and Annuitas vice-president of marketing and demand generation, Jason Stewart, also spoke on how to structure a successful content management policy, stressing the need for processes that include content creation as a key component. For Bornstein, the three musts to creating a successful content marketing strategy are goals, tools and relevant performance metrics. Each quarter, Bornstein’s team builds an editorial calendar first, then picks out the types of content tools that will best serve its ambitions. The starting point has to be the customer and prospect persona first, he said. “My process starts with understanding what the goals from all the constituents are, then I map out requirements for each of those,” he explained. “Once I understand the goal, the target audience and stage of the buying cycle, then I can map out the strategies. I can pick up themes and stories I can tell. This helps you pick the tools to disseminate those stories. Stewart added content marketing strategies shouldn’t just be about generating new information, but also delve into leveraging existing content along the increasingly complicated buyer cycle. He advised marketers to do a gap analysis against the content they already have as they determine which content to best serve customers along the way. “There might be existing pieces that are a really good fit to meet that specific pain point or motivation in the buying process that you’re not leveraging,” he said. “It’s always better to leverage, edit, or update an existing piece of content than create something from scratch. The problem of content management is compounded by the fact that marketers tend to think of content, such as a video, case study or blog post, as a moment in time, Bornstein said. As an example of how On24 is stretching the lifespan of content, he pointed to its annual benchmarks report on the broadcasting industry. After starting with the basic report, the marketing team delivered a live webinar, then took several data points to create infographics pushed through its website and social networks. On24 then took smaller pieces of data and created short video tutorials, followed by a campaign with a quiz challenge, and several versions of the report for different geographies and industries. When it comes to the technologies helping to foster solid content marketing strategies, Stewart, who is a key influencer on Marketing’s marketing automation suite, highlighted the importance of such platforms to help personalise and distribute content on an individual level. But he admitted most marketers are failing to use marketing automation features to their best advantage. “Marketing automation is the mechanism, but doesn’t necessarily help you if you don’t know who the people are, or if you haven’t identified them,” he added. “You also need to take into account a tool that will help you personalise the experience as best you can to get them into your database in your first place.